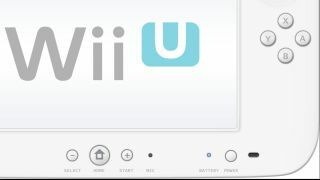 Nintendo has admitted there are some problems with the Wii U console and has vowed to fix them. In a video on the company website, president Satoru Iwata acknowledged the console was a little sluggish in switching between apps, and that the long update needed to get online wasn't exactly ideal. He said the company will work to address the issues, though he didn't give a timeframe. Iwata also apologised for the low stock of the Wii U Premium Set in Japan, saying stocks were being replenished every week. The Wii U went on sale on November 18 in the US, November 30 in Europe and Australia, and December 8 in Japan. In order to get online using the console, users have to install a software patch. The Wii U also launched without the streaming services that were promised. Iwata apologised for the software patch a few weeks ago as well. "Personally I think that users should be able to use all the functions of a console video game machine as soon as they open the box," he said in an interview. "So I feel very sorry for the fact that the purchasers of Wii U have to experience a network update which takes such a long time, and that there are the services which were not available at the hardware's launch."